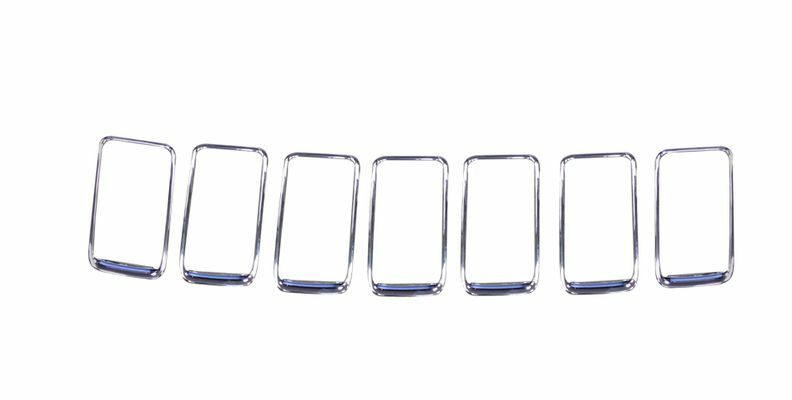 Keep the new-car shine in your Jeep Grand Cherokee with a set of replacement chrome grill rings (Item # 68227779AA) from JustforJeeps.com. These chrome grill rings are standard equipment on the 2014-2016 Jeep Grand Cherokee WK2, and because they are genuine Mopar parts, you can be confident they'll fit right and look like the originals. JustforJeeps.com has a wide range of genuine Mopar replacement exterior parts as well as aftermarket parts and accessories to help you keep your Jeep looking good.